Taking place in an open and dynamic training environment, Expression Training focuses on improving body expression by learning how to use it effectively. 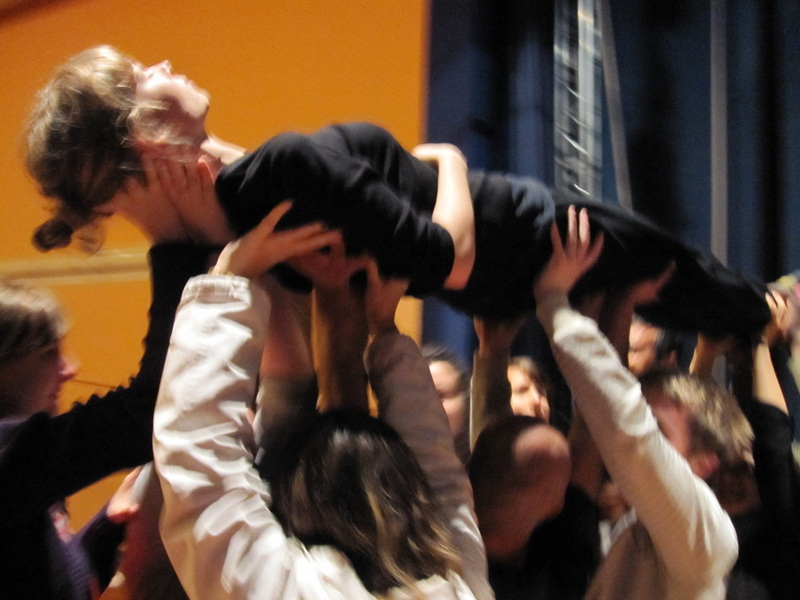 These trainings are directed both at the artistic community - dance, theater or music performers - and at people interested in working on their own personal expression. The main goal is enhancing expressiveness in general, non verbal communication skills and emotional expression through body awareness and dynamic group techniques. Very rapidly, participants become more aware of their bodies, musicians use eye contact to stay in tune, dancers show emotions and actors make full use of space to convey understanding and express meaning. Exploring our creative and expressive body allows us to pay attention and to further develop our expressive body resources (posture, gestures, touch, voice, eye contact, movement, the use of space). The body is not just our "brain carrying system". We utilise it when we move, when we interact with others, when we use different physical spaces, when we consciously and unconsciously touch other people... And it is also through the body that we experience physical symptoms and emotional responses. The more open and aware, the more complete you will feel in yourself and with others. Musicians need to develop synchronicity - to connect and to learn how to get in tune with one another. 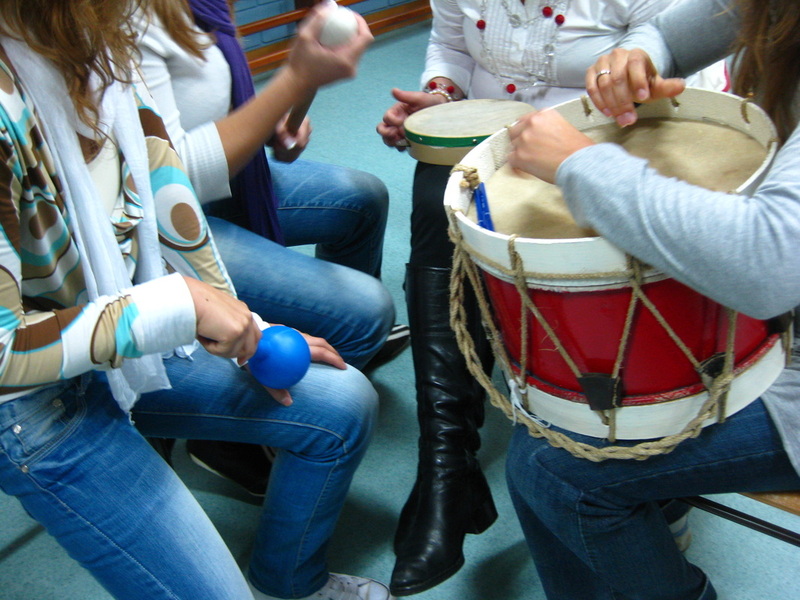 These needs are particularly important when performing in groups. 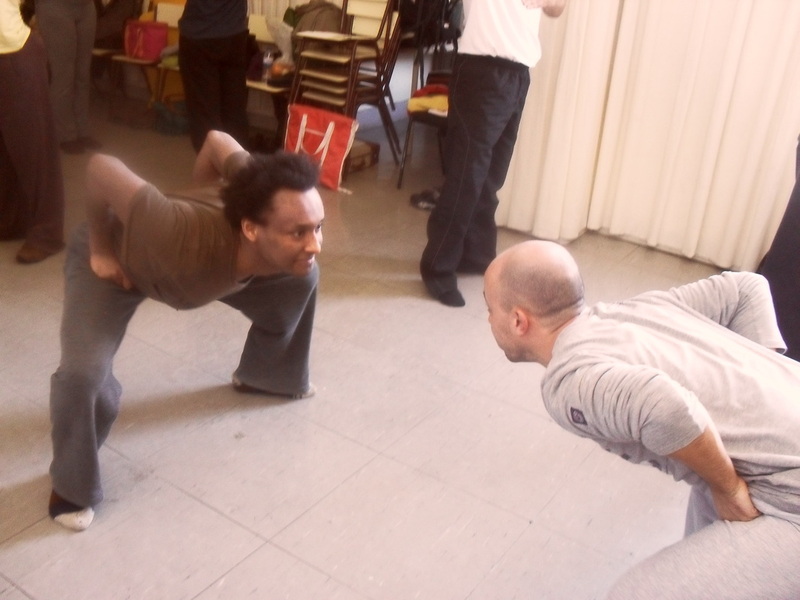 We work with the awareness of the occupied space, the use of eye contact for better non verbal communication, and address posture and gesture details - all of which allow for a stronger presence and result in a more expressive performance. 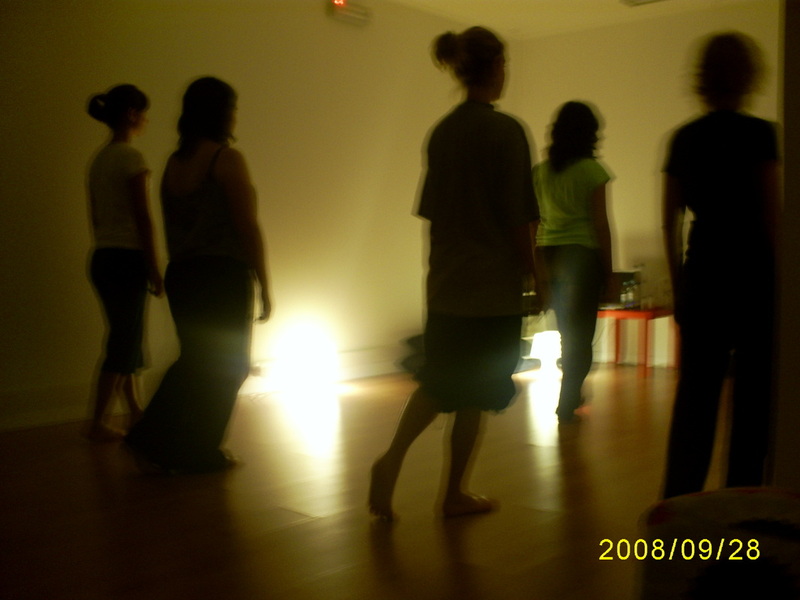 The focus of most dance training is the skills associated with rhythm and movement. The techniques of body and emotional expression allow dancers a greater vocabulary for expressing the emotional content of a piece, and strengthen the connections between dancers. To be completely at ease on stage, actors need more than to master the script. They need to be fully engaged in their character, to feel it and to communicate it to the audience. In this process, integrating their fully expressive body is fundamental. The techniques of body and emotional expression that THINKING-BIG teaches facilitate being in tune with emotional content and expressing it authentically, thus enriching an actor’s performance and creating a stronger stage presence.